Adam Bryant is the founder and agency owner of a Goosehead Insurance branch located in Galveston, Texas. He has served his clients with their insurance needs for almost 12 years and enjoys being able to provide them with comprehensive coverage with the best rates in Texas. Adam can provide his clients with options for home, auto, renters, life, umbrella and farm-ranch needs from a variety of A-rated insurance companies from across the nation. He is committed to providing excellent customer service for families all across the state for years to come. His goal is to be able to streamline and simplify all of his client's insurance needs and to provide ongoing relationship and support for those clients. 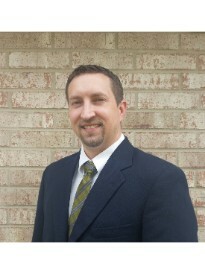 Adam is a graduate from East Texas Baptist University in 2003. He lives in Galveston, Texas, with his wife, Alicia, and their three sons; Samuel, Nathan and Gabriel.